CORBA President Mark Langton fits a helmet on a new rider at Subaru's "Ready for Adventure" event at Malibu Creek State Park. See the full story and more photos. 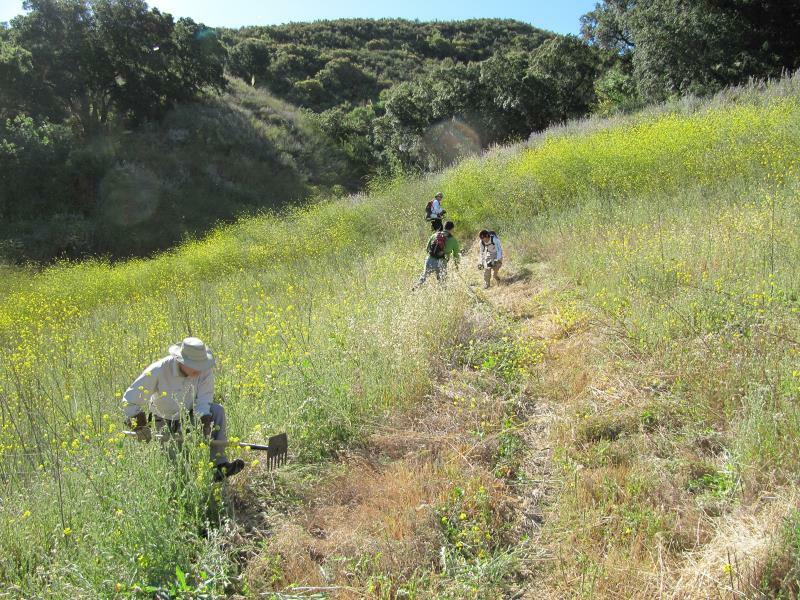 Recently CORBA officially adopted (re-adopted, actually) the section of the Los Robles trail in the Conejo Open Space Conservation Agency (COSCA) between Moorpark Road and Potrero Road in Thousand Oaks. This was made possible through COSCA’s Adopt-A-Trail program, which is administered by the Conejo Open Space Trails Advisory Committee’s (COSTAC) Volunteer Corps. Other programs include a volunteer Trail Watch and Volunteer Trail Patrol, similar to the Mountain Bike Unit. However, COSTAC’s Trail Patrol also consists of hikers and equestrians in addition to mountain bikers. COSTAC also does regularly scheduled trail work days, and produces the COSCA Trails Education Days, which brings all Conejo Unified School District 5th graders out to Wildwood Park for an interpretive field trip. Volunteers for all of these programs are needed, and for more information you can go to the Conejo Open Space Foundation’s website, www.cosf.org. The reason for letting you know of our newly adopted trail is because, although officially monitored by a couple of local mountain bikers, anyone can let CORBA know if they see something unusual or if a trail needs maintenance. You don’t even have to be a CORBA member! To contact CORBA, email to info@corbamtb.com or visit our 'Contact Us' page for other addresses. CORBA will be assisting Chris Sercel with his Eagle Scout project to restore the Upper Doc Larson trail in the Sunland area of the Angeles National Forest. Doc Larson trail is a multi-use singletrack. We'll be working on the upper section, and a singletrack connector trail that ties it into a loop with the surrounding fire roads. Lunch will be provided, so please RSVP to csizzles99@gmail.com and/or to trailcrew@corbamtb.com, or on the Google Calendar if you have a google account. See the Calendar entry for more details and directions. Rogers Road is a very popular six mile single track trail in Topanga State Park. The trail has become so overgrown most trail users are avoiding it. We need a lot of help to get this one cleared! CORBA will provide lunch for the trail crew after the work day is done. See the Calendar entry for more details and directions. Over the last couple of weeks some new maintenance has occurred on the Backbone Trail along sections at Solstice and Latigo Canyons. It was very professionally done. Hand-worked tread leveling and minor widening has taken place, with a few sections being filled in with soft dirt. The section of trail most affected is directly to the west of Newton Motorway. See our blog entry for more details and photos. 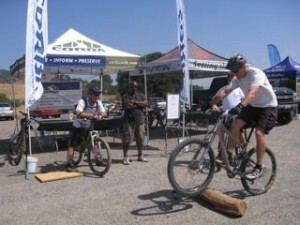 Subaru presented its “Ready for Adventure” event at Malibu Creek State Park on June 19-20. For every test drive taken during the weekend, Subaru donated $10 to State Parks. CORBA was asked to provide skills workshops and lead rides. 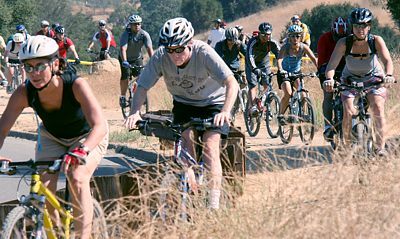 Several people were taken on fun rides along the trails of Malibu Creek State Park. 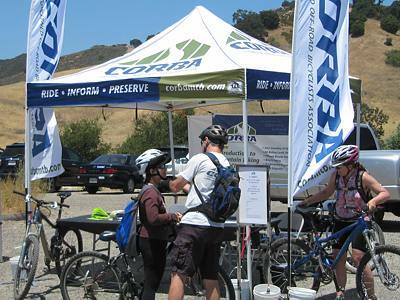 Cynergy Cycles of Santa Monica provided Specialized bikes on Saturday for demo and fun rides, and on Sunday CORBA’s Youth Adventures fleet of bikes was put into service for guided rides. Many riders had never been mountain biking before and were very excited about CORBA’s programs and services. Also at the event were rock climbing, pet adoptions, flyfishing demonstrations, horticultural information, and more . There will be another Ready for Adventure July 31-August 1 at Huntington State Beach in Huntington Beach. CORBA will be there with information and skills demonstrations. View our photo gallery to see pictures of this event. CORBA would like to give special thanks to Simi Cycling Center for their generous donations of bike equipment and discounts on bike parts used by our Youth Adventures program. Because of thoughtful donations such as these, many inner-city and at-risk youth will be able to enjoy the experience of the natural beauty of the Santa Monica Mountains. See the full story on our blog. 200 Acres of New Open Space in Calabasas - June 11. The dedication ceremony in on Saturday, June 12. Saturday July 3rd is the next skills clinic. We have set up an account with Twitter to help keep people informed of the latest developments in our trail advocacy, recreational rides and trailwork days. Follow us on Twitter at twitter.com/CORBAmtb and Facebook at facebook.com/CORBAMTB.